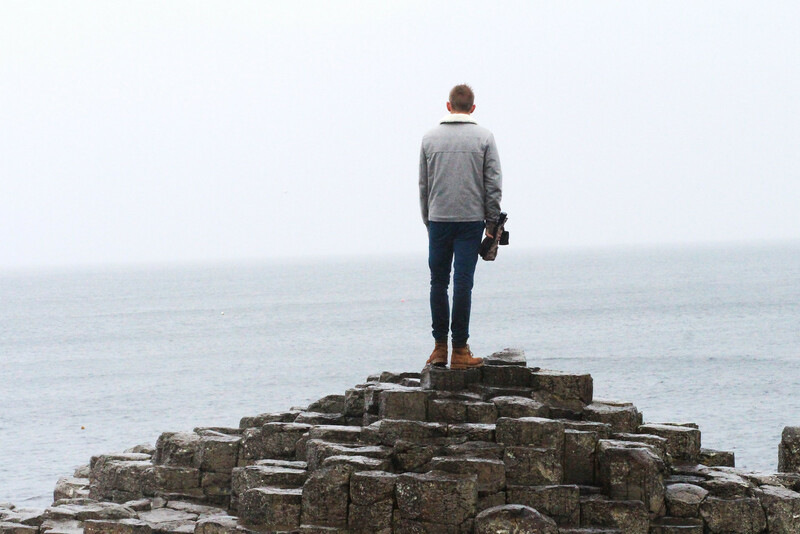 When I was a little girl I used to dream about the Giants Causeway. I had no idea what it was, or even where it was - but somehow it captured my imagination. 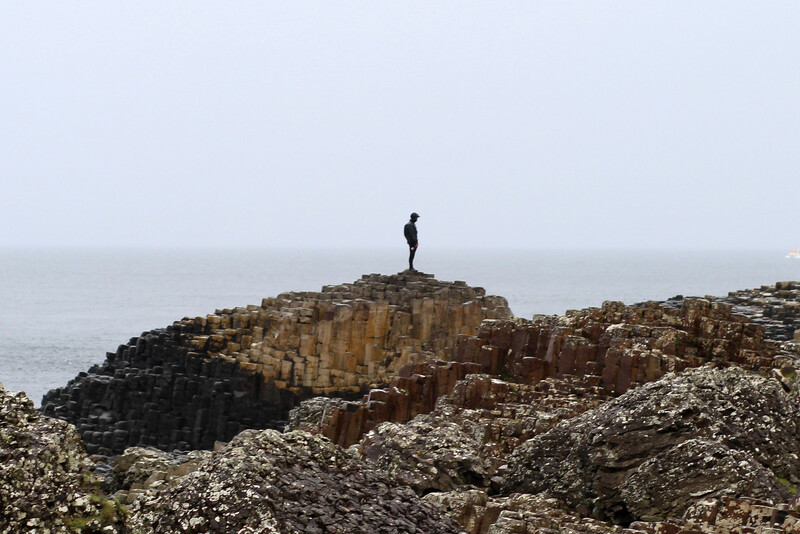 According to legend the rock formations are the remains of a causeway built by a giant. The tales of Finn MacCool challenged to fight by the Scottish giant Benandonner. 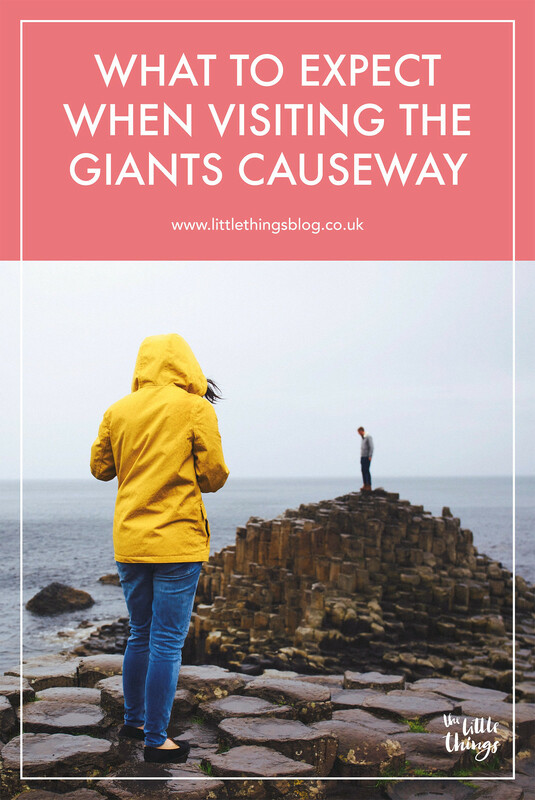 Where Finn MacCool pretends to be a baby sleeping on the causeway, scaring away the giant Benandonner, believing if this is the size of a baby, how big must the giants here be full size! Captivated by such tales, I couldn't wait to see the spectacle for myself. That is, until we endured the worst wind and rain of our road trip! Still, it didn't take away the magic of standing on the causeway. Nor did it deter the masses of other tourists by the coach load from doing the same. If you want a quieter view of the causeway, be prepared to arrive early. We were there by 11am and it was already heaving, even in the bad weather. 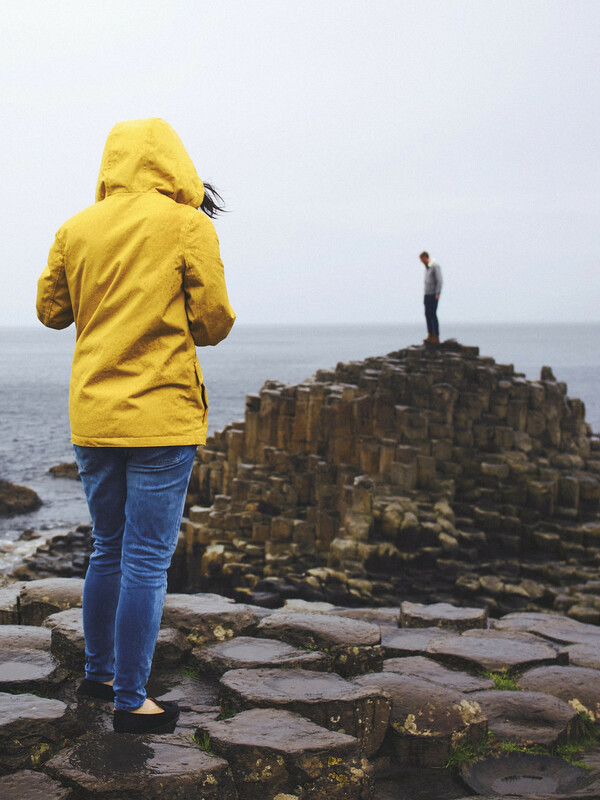 Owned by the National Trust, the Giants Causeway is technically free to enter, you just need to know how now to fall into the ticket trap. As a UNESCO world heritage site you are entitled to enter free of charge. However if you intend on parking at the site, entering the gift shop, information centre, or even the toilets - there's a hefty fee to pay. Currently this stands at around £10 per person. To avoid this, if you're looking to take yourself on a self guided tour, just walk straight past. Yes, you heard me. No one will stop you. When you approach the entrance, you'll find the visitors centre to your left, and a tunnel directly to the side of this. Walk straight through here and down the winding path towards the base of the Causeway. You can pay extra to get the bus if your need the assistance, but it's not that far and you get some great views along the way. If you have a car and need parking but don't want to pay £10 per person, be sure to park at the Bushmills railway. Parking costs £6 per car and it's only a short walk to the Causeway entrance from there. They also have toilets and a small cafe to warm up with a coffee. If you're coming from Bushmills there's also a train you can catch directly to here. 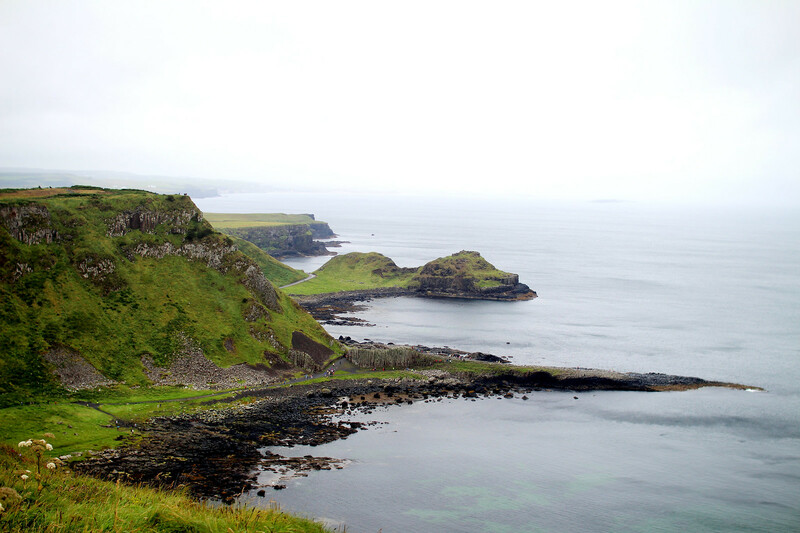 For us it wasn't worth it as we were driving further along the coast towards our next stop after leaving Bushmills. I feel there's a slight irony in wearing this, because the keen eyed amongst you will notice I'm in suede loafers. Yes that's right, on the wettest and windiest day ever. Naturally the day before my trainers got soaking wet too, so I had little choice. In hindsight, absolutely bring walking boots which are waterproof. 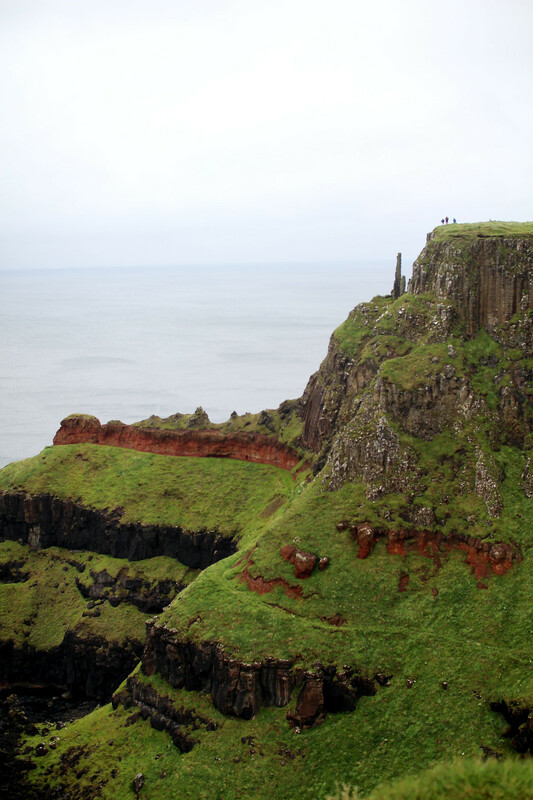 Not just for the Giants Causeway, but also for travelling around Northern Ireland in general. You live and you learn. 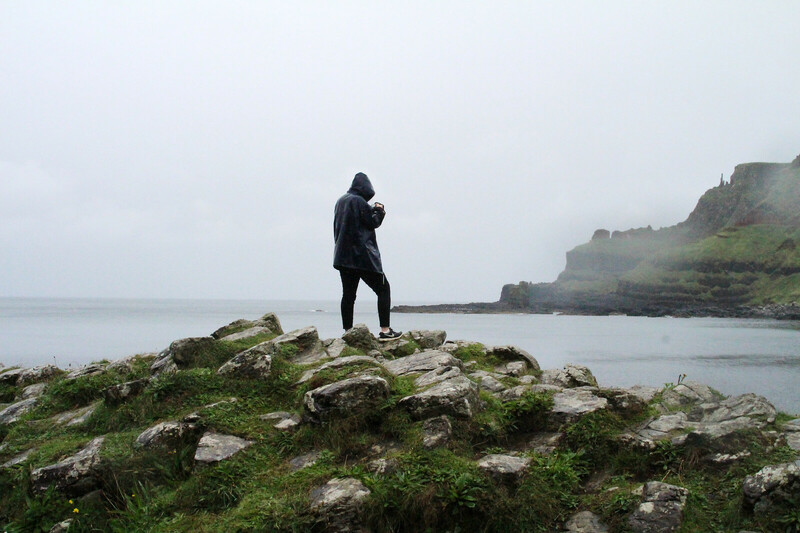 Bring a light waterproof, the weather in Northern Ireland can change so rapidly and it's good to be prepared. 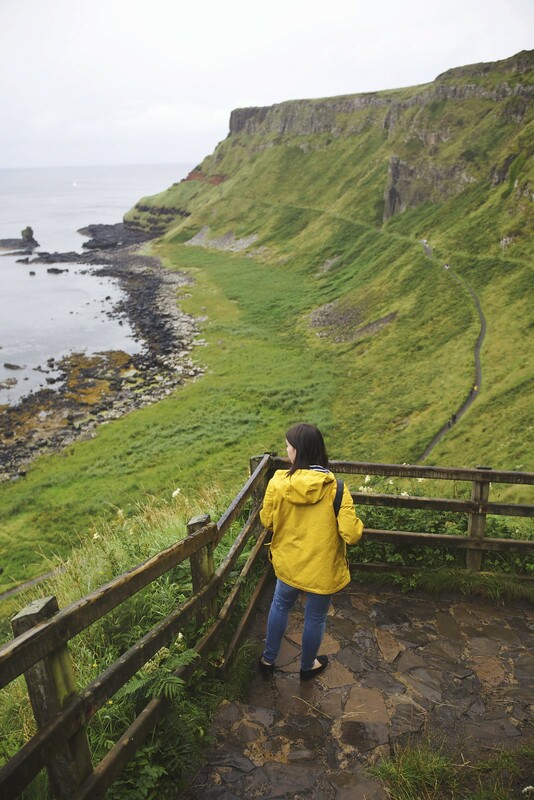 There's a lot of walking options at the Giants Causeway for all levels, so be sure to wear something comfortable. The rock formations themselves aren't very big. They can be quite slippy in bad weather, so be sure to take proper shoes. This isn't all there is to see of the causeway. 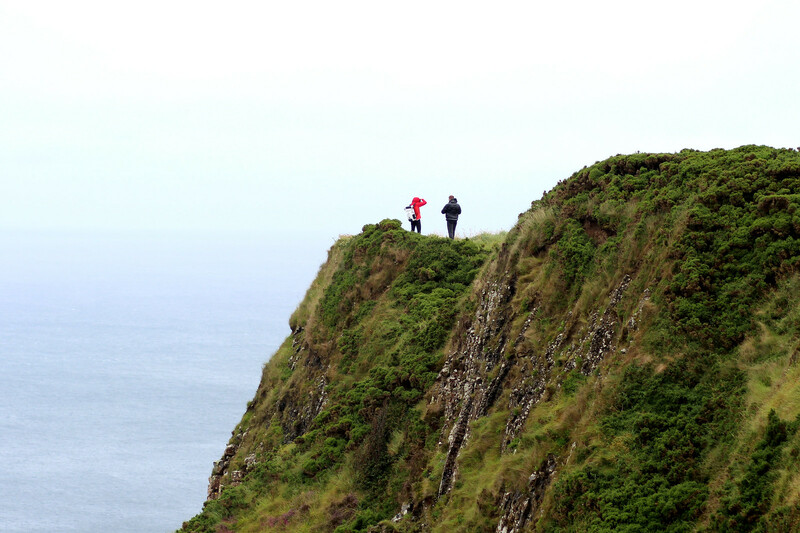 Walk further around the cliff past the rock formations and there are several view point options. 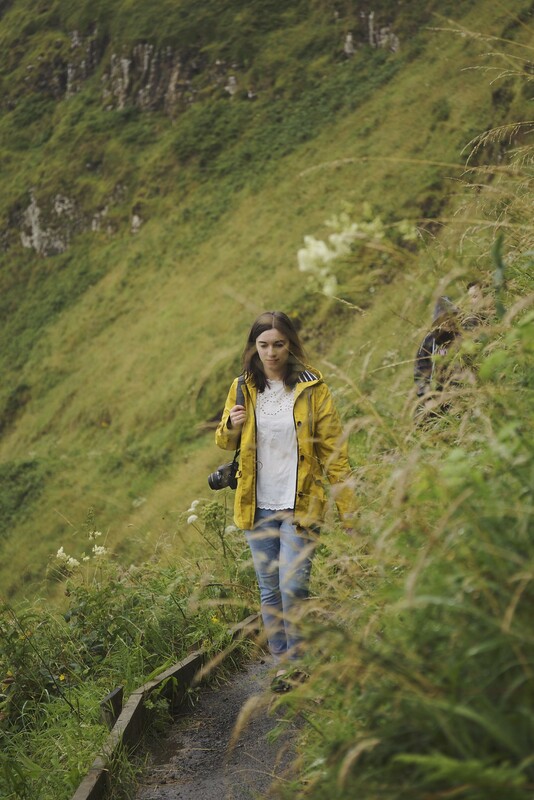 You'll find a winding path which goes up the cliff face, which is much less strenuous than it looks. 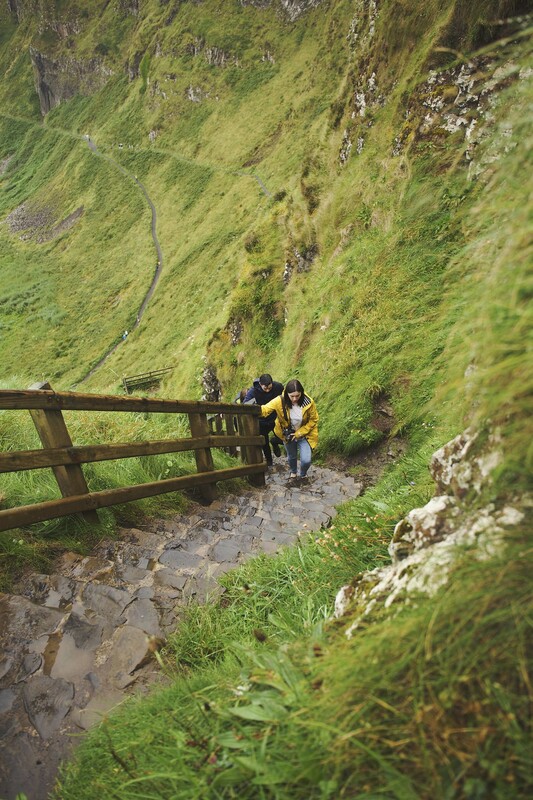 From here there are some steps up to the very top, which give a fantastic view all the way across the Giants Causeway. I hope this has given you some tips for making the most of your visit. Do you have any recommendations to add?